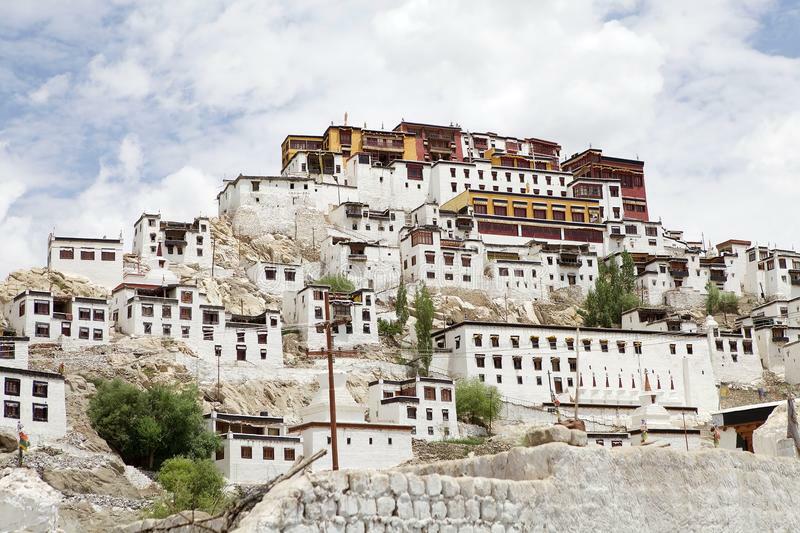 Located on top of a hill and at a height of 3600m is the Thikse Gompa or Thikse Monastery. Similar to the Leh palace, Thikse Monastery is noted for its resemblance to the Potala Palace in Lhasa, Tibet. Thikse Monastery is affiliated with the Gelug sect of Tibetan Buddhism which focuses on ethics and monastic discipline of the vinaya as the central plank of spiritual practice. The present day monastery was built in during 15th century and currently stands twelve-story high. It grew in prominence in the Ladakh region, seconded only by Hemis Monastery in Hemis, Ladakh. It is an important monastery that held high and important place having ten other monasteries such as the Diskit, Spituk, Likir and Stok under its direct administration. Apart from this the monastery also manages 1,350 acres of land and administrate around 24 villages. 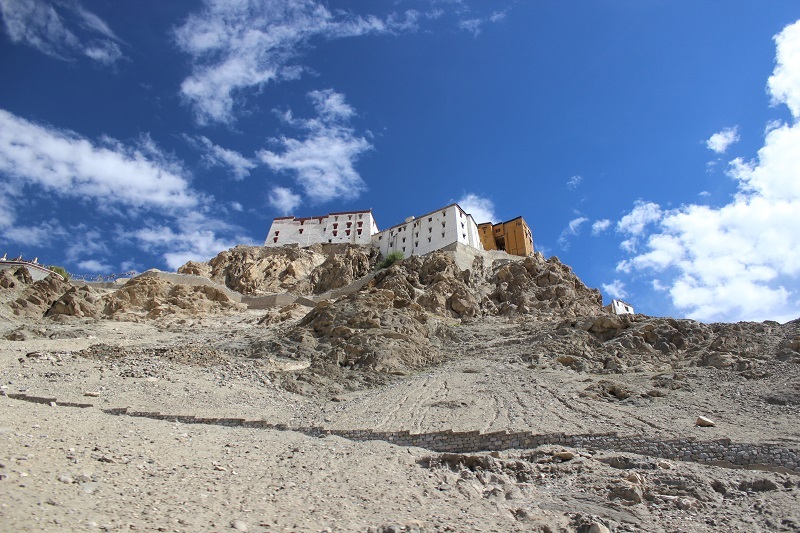 The monastery is around 20 kms or half an hour of drive away from the Leh city. Painted in traditional colors of red, ochre and white it can be seen prominently, perched on top of a hill, on the right banks of the river Indus. Built in the 15 century the present day precinct has a courtyard that has a small space for visitor’s vehicle parking. From there a flight of steps leads to the main chambers of this twelve storied high monastery. The main assembly hall inside the monastery houses a vast array of items of Buddhist artifacts such as Buddhist scroll painting called thangkas, statues, wall paintings and swords. Many murals of the Tibetan calendar with the Bhavacakra called ‘The Wheel of Life’ can also be seen. 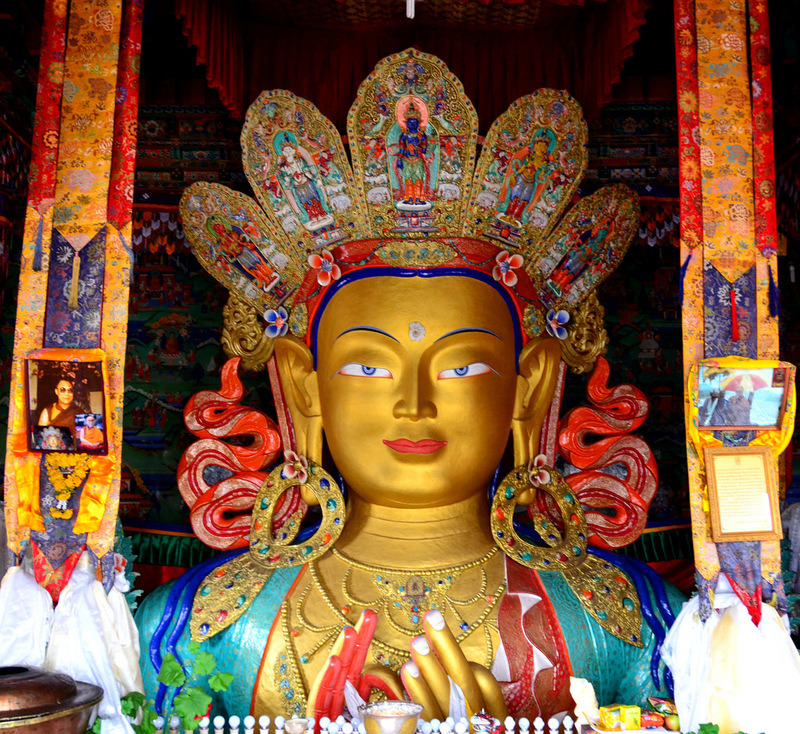 The building complex also houses a 15 meters high statue of Maitreya Buddha, which is said to be one of its kind and the largest statue of Lord Buddha in whole of the Ladakh region. This staggering statue covers the two stories of the building and is portrayed unusually as seated in lotus position on a high throne. The morning prayers starts everyday at around 7 am. 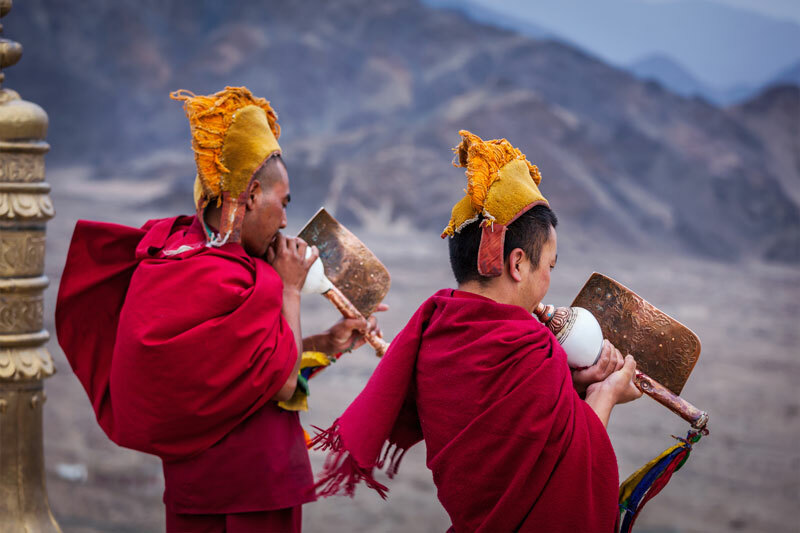 The synchronized chanting of the Buddhist sutras by the monks, attracts many worshipers to observe the services, which is one of a kind experience to know the still flourishing Buddhist culture in India. 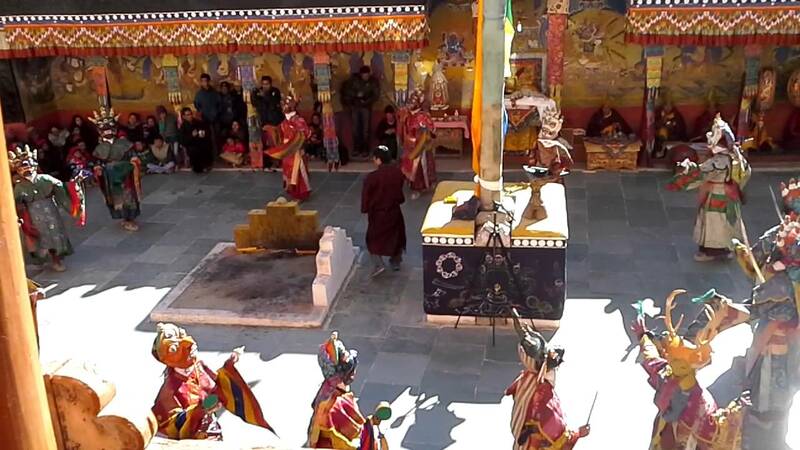 Best time to visit Thikse Monastery is between (October–November) when the annual Gustor ritual is organised. 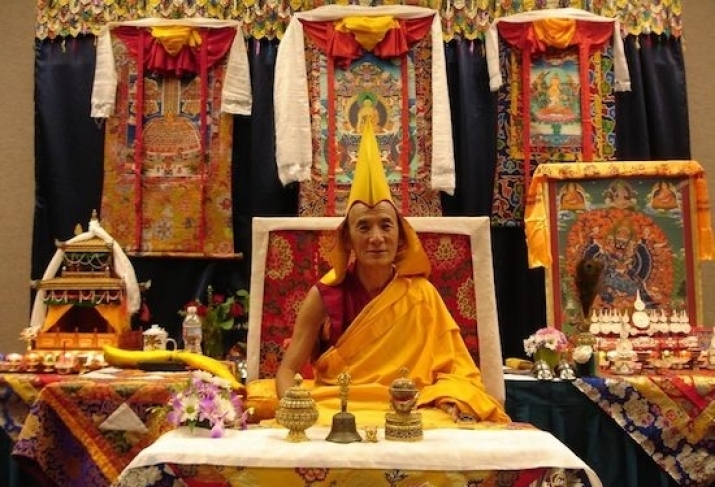 The dates of this annual event are fixed usually on the 17th to 19th day of the ninth month of the Tibetan calendar. Thikse Monastery is just a throw away from the Leh city. To reach there you can either book your own car ( if not having your own private car) or can rent a bike to reach there. 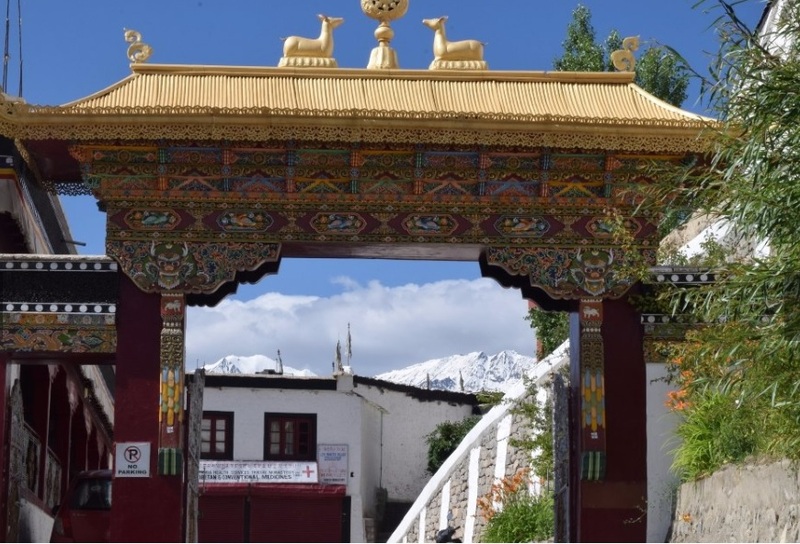 Though Thikse Monastery administration arranges a decent lodging facilities for the tourists to stay inside the monastery premises, which is very limited. So it is advisable to, better book a hotel in the Leh city itself and then drive to Thikse Monastery.